The other day I was having a coffee with the lovely Murielle from Sweetcase — I do love talking to the people we work with and discuss what inspired them to start their businesses! We touched base on how she was inspired to create Sweetcase… Murielle was expecting her second child when she realised that there was not one place where she could simply and easily get everything she needed for her pending arrival. Sweetcase was the result of her unsuccessful search for such a place: it is the first and only stop one needs to make to get ready for the arrival of a new baby and truly is one of a kind! 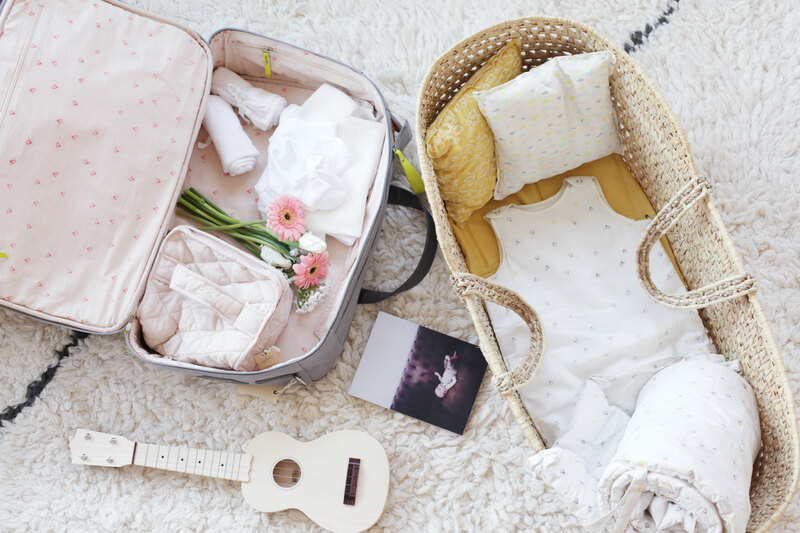 One of the great successes of Sweetcase is their maternity suitcases, which are pre-packed with over 25 carefully selected items for your baby and his first weeks, taking the stress of packing your hospital bag away. 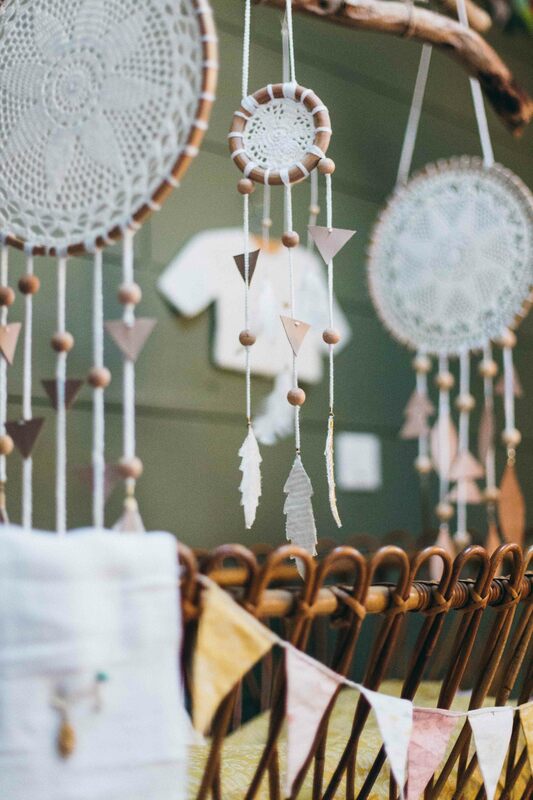 But you can also choose whatever you want from the ‘menu’ of cute clothes, beautiful bedding and great presents. The gorgeous prints on the fabrics are delicately designed by Murielle herself and super soft — exactly like something you would like to wrap a newborn into or dress your toddler’s bed with. Have a peek at the new prints – they launch today! On top of Murielle’s sweet designs, Sweetcase has also curated a great choice of presents for newborns and their very well deserving parents. We are super excited to have Murielle and her collection at the ShopUp in LA in only a few weeks time! Exciting! 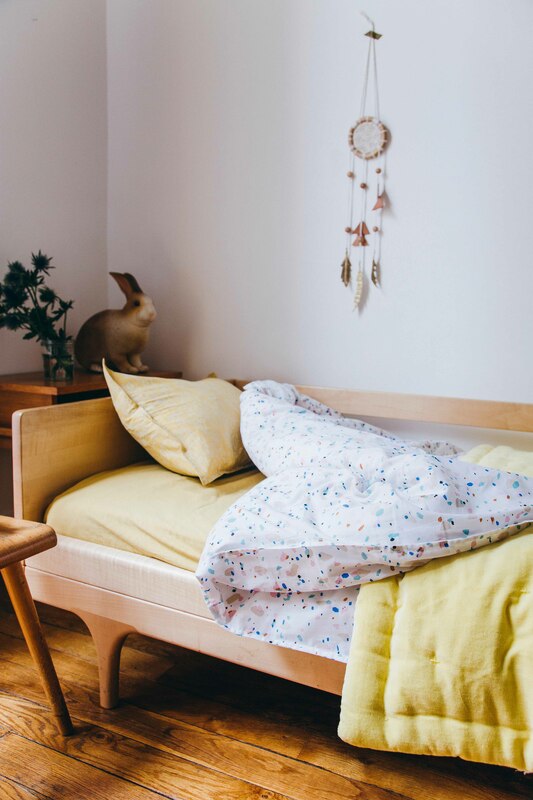 Love that bed, is it vintage?